It’s time for a summary of what’s been in the news about animals this month. As you might recall, our ‘Paws to Protect’ focus topic this month has been Zoonotic Diseases. Zoonotic diseases are those that can be transmitted between people and animals. Interestingly, as you look through the news items below, you will notice that quite a few of them relate directly to zoonotic diseases! With so much showing up in the news about zoonotic diseases, it serves as a reminder of why it’s so important for pet owners to be aware of these types of diseases. First and foremost: Tomorrow, September 28th is World Rabies Day! Lawndale Veterinary Hospital is offering $12 rabies vaccines all day tomorrow. You can schedule an appointment or simply walk in. Please note that if your pet needs to be seen for anything besides the rabies vaccine, we do request that you still schedule an appointment. Minnesota health officials seek woman who dropped off rabid bats (Startribune.com); Follow-up article: Minnesota Health Department: No human exposure to rabid bats (apnews.com). 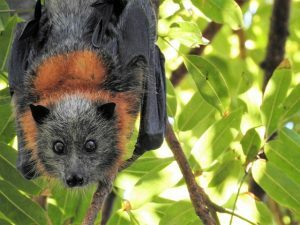 Although these articles are out of Minnesota (and thankfully it turned out there was no rabies exposure), the articles serve as important reminders to all people about the risk of bats and rabies. You should always make sure your pet’s rabies vaccines are current, and you should never touch a bat. If you find a bat in your home, close the doors and windows to contain the bat (do not let it go!). Contact your local animal control so that the bat can be tested for rabies. You should also contact your physician or local health department to discuss the risk of rabies exposure. Learn more about bats and rabies by visiting the One Health Commission’s Bat Rabies Education Team website. 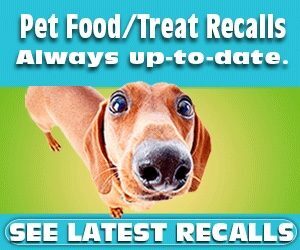 Performance Dog Pet Food Recall: Recall on all frozen raw pet food due to the risk of Salmonella contamination. Animal Drug Safety Communication: FDA Alerts Pet Owners and Veterinarians About Potential for Neurologic Adverse Events Associated with Certain Flea and Tick Products: The FDA put out an alert on September 20, 2018 regarding drugs that are in the isoxazoline class. This includes products such as Bravecto, Nexgard, and Simparica. The alert indicates the FDA is working with the manufacturers of those products to develop new label information that highlights the potential for neurological symptoms such as muscle tremors, ataxia, and seizures. It is important to also note that the FDA’s announcement states “The FDA carefully reviewed studies and other data on Bravecto, Credelio, Nexgard, and Simparica prior to approval, and these products continue to be safe and effective for the majority of animals.” Furthermore, the FDA encourages veterinarians and pet owners to work together to determine whether a product in the isoxazoline class is appropriate for an individual pet. If you have any concerns about your pet taking one of these products, please feel free to contact our clinic for more information. If you believe your animal has experienced an adverse drug event, you can either call the product manufacturer directly or you can report the event directly to the FDA (click here). You can learn more about the FDA’s recent release by reviewing this Fact Sheet for Pet Owners and Veterinarians about Potential Adverse Events Associated with Isoxazoline Flea and Tick Products.